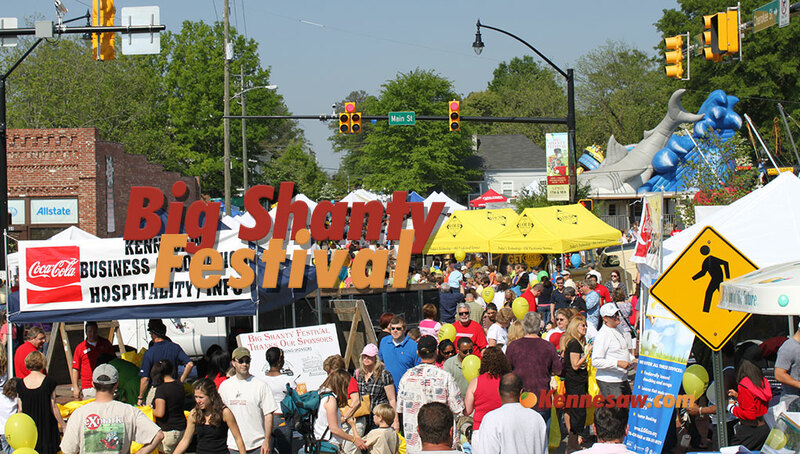 Downtown Kennesaw is host to the annual Big Shanty Festival on April 13 and 14, 2019. 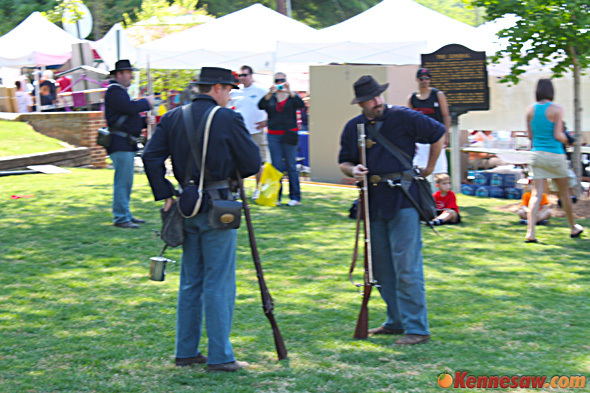 The festival combines the best of the rich heritage of Kennesaw and the Civil War era with today’s fun filled activities. 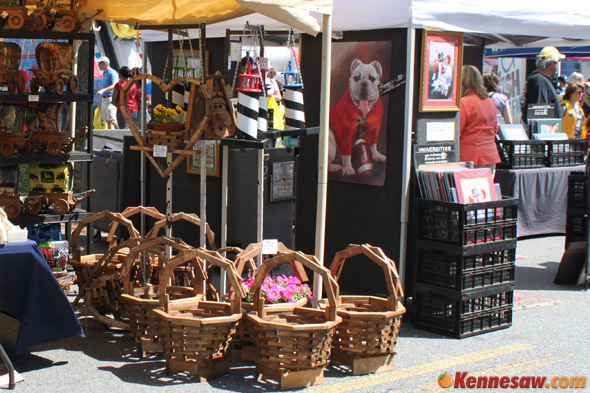 Over 70,000 attendees will enjoy the more than 250 booths with arts & crafts, food vendors, merchants, and live entertainment. 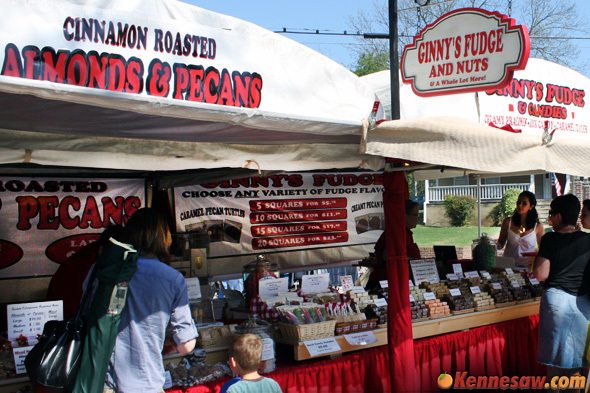 This year’s event offers great entertainment on different stages and a variety of foods to please everyone’s palate. 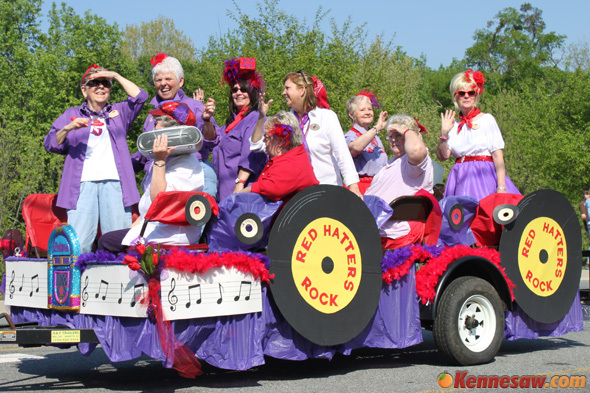 The Kennesaw Big Shanty Festival kicks off with a parade on Saturday at 9:30 am. 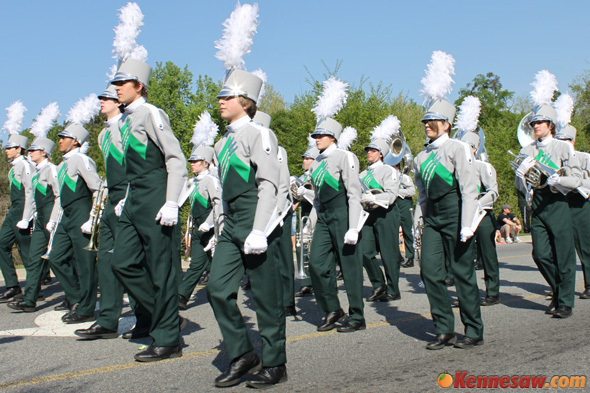 The parade features floats, high school bands, marchers, and over 1,000 youngsters representing every sport association in the area. The Parade will start at Adams Park and continue down Main Street through downtown Kennesaw. 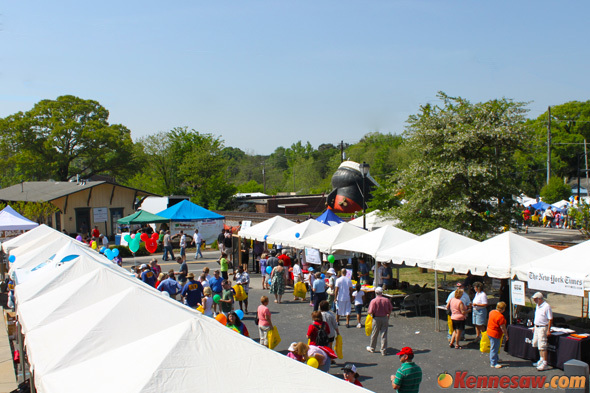 This fun filled event is co-sponsored by the City of Kennesaw and the Kennesaw Business Association. For more information, please contact the event organizers – JRM Management at (770) 423-1330. We would like to have a vendor booth. Could you let me know where to sign up and when the deadline is? 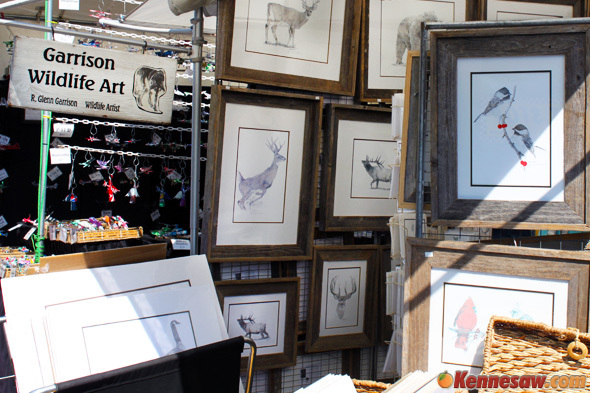 For vendor information, please contact Tod Miller at (770) 423-1330. Is it to late to become a vendor? We are an authentic Indian frybread vendor and were looking to fill our schedule. If you could call me or email the info of event and food vendor application 386-479-9560 or email shilohsfrybread. Good Luck they are the worst at returning calls or even letting you know they have received your application. I’ve decided not to put my business in there hands. I got two whole beef tenderloins from you for Christmas Eve dnnier. I can’t tell you how everyone raved about it. You could cut the meat with a fork. Everything we have purchased from you over the past year has been top-grade and wonderful. Amazingly, your prices are reasonable (in line with Publix), but the quality is far superior. I am a fan and a very happy customer. Love it that you are just across the street from my subdivision. Hello there, I read that the Marine Corps Silent Drill Team will be performing in the festival, where and what time will the performance start? 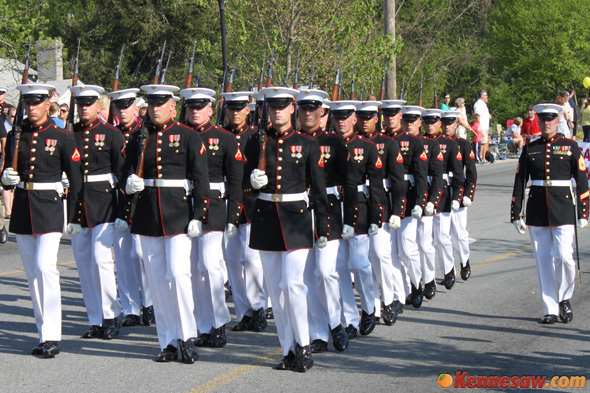 United States Marine Corps Silent Drill Platoon will be performing in the parade on Saturday morning and also performing at Kennesaw Mountain High School at 7:30pm Saturday evening, April 17, 2010 as part of military appreciation night. what needs to be done to perform on the stage in front of the police department, where the ETO demo team does their demonstration? 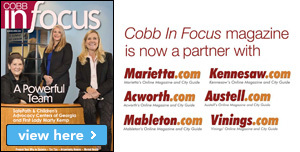 For information about performing on stage, please contact the festival organizers at (770) 423-1330. IS there a battle reenactment?? There is a Civil War encampment, but we are not aware of a battle reenactment. Our Confederate artillery group will be onsite along with our civilian ladies group. Will be demonstrating a three inch ordnance rifle cannon. I heard there was a Library Book Cart Drill Team performing in the parade. Is this true? Yes, there was a library book cart drill team in the parade. They were great. If you like the USMC 8th&I Silent Drill Team. Take a look at their website along with the USMC D&B CORPS. Which performs at the Albany Georgia Marine Base each October. 1. 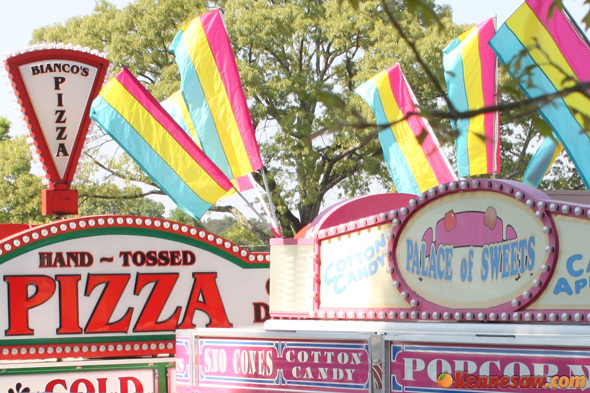 Is the festival in the depot parking lot next to the playground? 2. How can we find out where to park and what is the best route to reach the festival? The center of the festival is the area surrounding the Southern Museum of Civil War and Locomotive History, however the event will likely spread out over the entire downtown area. 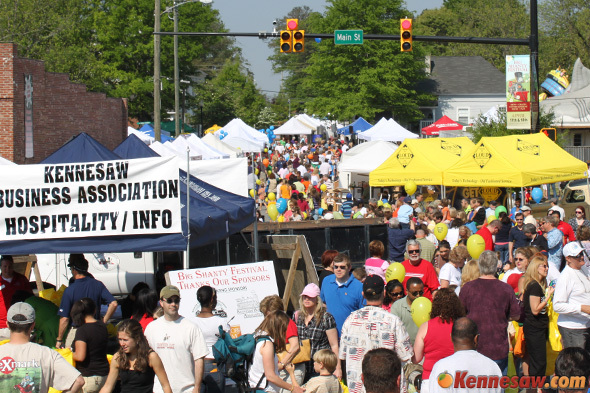 This is one of the largest festivals in North Georgia and over 50,000 people are expected to attend. 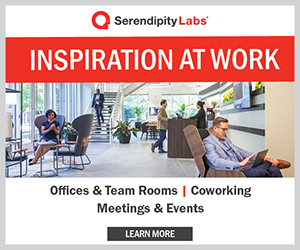 How can I get a list of attendees? We just got back from the festival and there were quite a few dogs there. 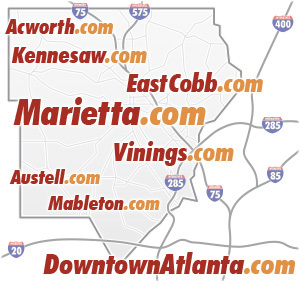 We have not seen a list of vendors online anywhere, but you could try calling the event organizers at (770) 423-1330. Thanks for your comment and glad to hear that you are making the trip. I am sure you will have a great time, and feel free to stop back by this page and leave your comments about this years festival. 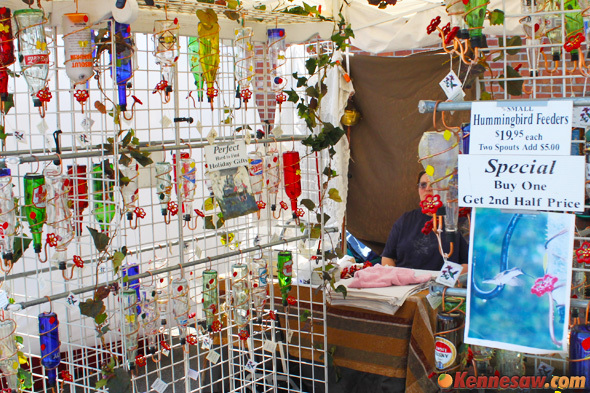 We went to the festival and saw a vendor selling fantastic glass windchimes. I want to get one for my mom for mothers day, but she was with me at the time!!! If anyone knows the name of the person or their website Id really appreciate it. Thanks! Are there any food vending spots available? 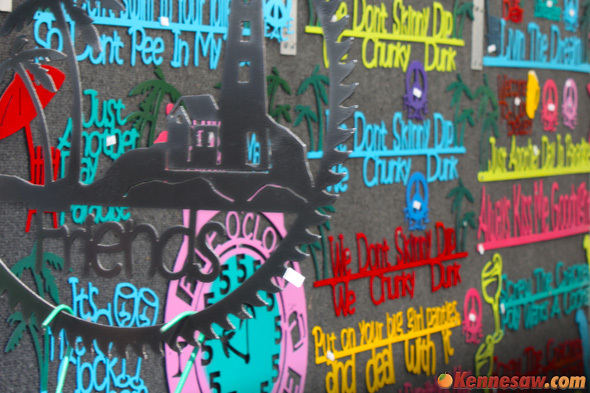 We have been participants at the Big Shanty Festival since 1995. This is a wonderful event for the whole family. There is something for everyone. 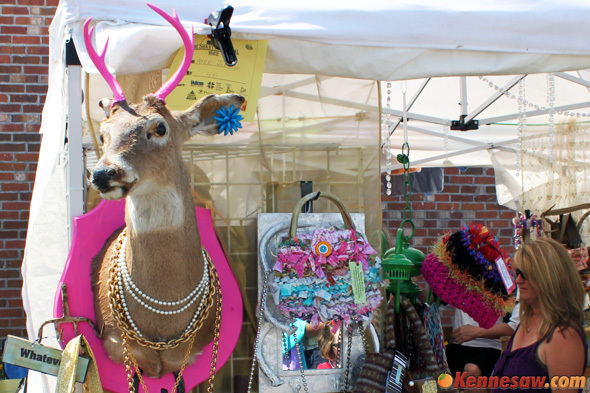 Shopping, demonstrations, eating, playing, there are several local businesses there to promote their place in the community, and entertainment. There is a HUGE parade on Saturday morning. Parking can be a little crazy, there are some “paid” parking areas/lots … and there are places you might be able to park [free] for a short term. My advice on this is for you to come out early, especially on Saturday. Bring your walking shoes, bring a stroller or wagon for the young kids, there is alot of ground to cover. Bring CASH. Some vendors will take credit/debit cards, but not all of them .. I do not remember seeing an ATM machine there in years past. Hope you come out and have a good time, rain or shine! Thanks for the great information and comments. We are looking forward to seeing you there and we will be sure to stop by to say hi and get a picture of your booth this year. You are right, come early. We have had the great fortune of parking for free because our daughter is in the parade and we have to be there really early. On the ATM machines, there was one available right before the railroad tracks. Great fudge by the way!!!! I look forward to seeing you in a few weeks. There was an ATM there this year. It was near the Food/Seating Area. Near the underground tunnel and playground. I’m looking to be a vendor this year (2012), who do I go through for that? For vendor information, please call (770) 423-1330. Where do 50,000 people park? Sounds like a big festival but that area doesn’t look like it has the parking for that many people. They park everywhere. If you come early enough you can find parking at Adam’s park. I’ve actually seen people park in the lot behind Burger King, Autozone area and walk over. Is there a list of performers and what time they perform? Unfortunately we are not aware of any published list of performance times. This is great event. The only suggestion I have is that I wish it lasted a little longer than 6pm and had some bands playing somewhere. I think there was a guy playing guitar on top of trackside last year if I remember correctly. More music please! I totally agree! This festival is so great but too short. Walking through the festival at night all lit up and listening to some local bands would top off the day. Could help promote the great restaurants and boost nightlife downtown. I purchased a military 2.5 ton (duece and a half) truck last year. Is there a place in the parade that it would be appropriate. If so I would like to participate in the parade. For participation information, please call (770) 423-1330. Is there a shuttle parking area? Where to park? There are usually signs and people to direct you to the closest parking lot from any direction. Yes, this event will take place rain or shine. Where is there any handicapped parking? We went on Saturday and bought mini doughnuts from temptation doughnuts. My whole family loved them. Do they have a local store? I tried googling them and I can’t find anything about them. 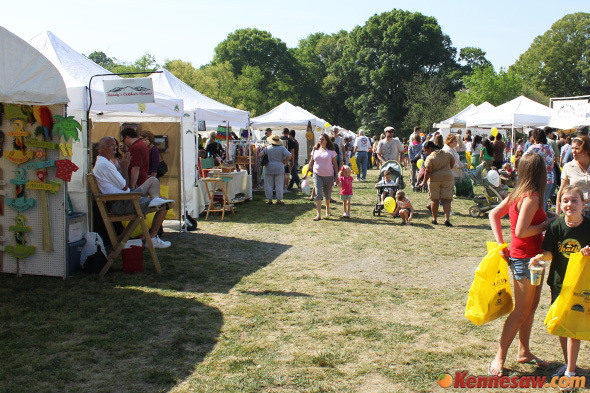 I am interested in having a booth at this year’s Big Shanty Festival (Spring 2013). Are there still booths available? Where would I be able to find more information about having a booth at the festival? Thank you for your time. Would love some info on how to be considered to play at the 2013 Big Shanty Festival. 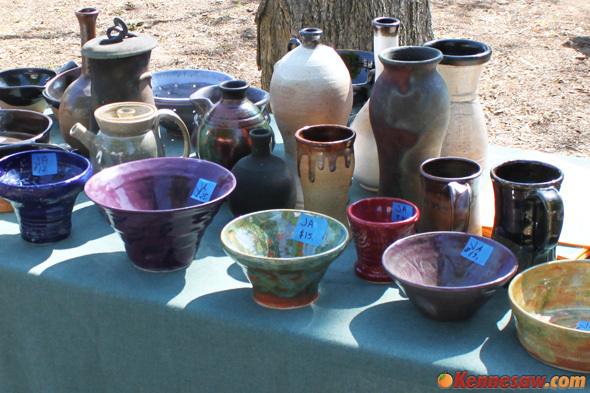 Where can I find information about selling at this year’s Big Shanty Festival? Thanks so much!! What arrangements have been made for parking? What is the mileage length of the parade? Is there a shuttle that takes you back to your car at Adams Park after parade participation? There is not a shuttle to take you back to Adams Park. You have to either walk back or arrange transportation near the end of the parade. Do they really close on Saturday at 6pm? I would love to be a food vendor at this event for 2014. We are a food truck the frequencies the Kennesaw Depot food truck night on Mondays. Can you please let me know how to go about becoming a vendor. 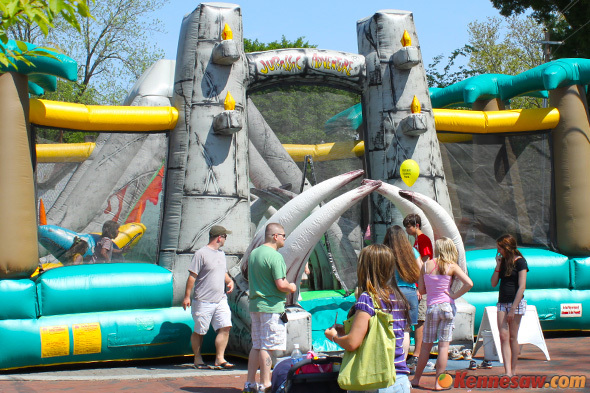 Try calling the event organizers at (770) 423-1330. I am working on a festival round up and had a few questions on the Big Shanty Festival. Could you tell me a good contact for me? Can we bring dogs if they are on a leash or in a stroller? We attended the event today and there were lots of dogs of all sizes. Those that are comfortable around dogs should enjoy this Festival. There didn’t seem to be any restrictions on animals in food areas, etc. Expect to be free to roam with your dog on a leash. The event is definitely pet friendly. When will you start accepting applications for the 2015 show? I still cannot find where the applications, fees, instructions, restrictions or really any information on being a vendor at this festival? Is there another website that they have gone too? Try contacting the event organizers – JRM Management at (770) 423-1330 or online at http://www.jrmmanagement.com. Interested in a booth for the show in 2015. I actually have a question. If it rains, will you still have the festival or will it be postponed or ccanceled? Do you have Handicap parking? Please answer!!! I heard that one of the Big Shanty singers passed out!!! Hi, I was wondering if you happen to know what the name of the company that sold the wooden rifles, crossbows, slingshots, and bow and arrows was? I really wanted to get one, but didn’t bring money and today it was canceled due to weather. Hi, I was wondering if you knew what the name of the company selling the hand painted glass was? There were salt shakers, bowls, wine glasses, etc. and they were brightly painted with flowers. I think they were located in front of the new apartment/shopping complex. I really wanted one but I didn’t bring money yesterday and it was cancelled today. Thanks. This festival was a joke and an insult to vendors. It rained for a FULL WEEK and they didn’t have any straw or mulch on hand to dry up foot paths or vending areas. We had to send booth workers, spouses, and local friends to go buy some for us two hours into the event AFTER we were promised some was in the way by the management company. We saw not one worker from the company in our section the entire time. They should have turned some vendors away instead of putting 60 or so of us in an absolute swamp with the only entrance to that section hidden behind the port-o-potties. I had local customers come to the festival to see me and couldn’t FIND me. Ridiculous. I called JRM asking for ANY sort of refund and even said I would settle for an apology letting me know that these were indeed problems and they’ll fix it in the future. I got neither the refund nor the apology. So vendors: they plan on continuing with these problems. I actually have a question! Will the event occur rain or shine? Is there a list of vendors? who do we submit a band that may be interested in playing to?